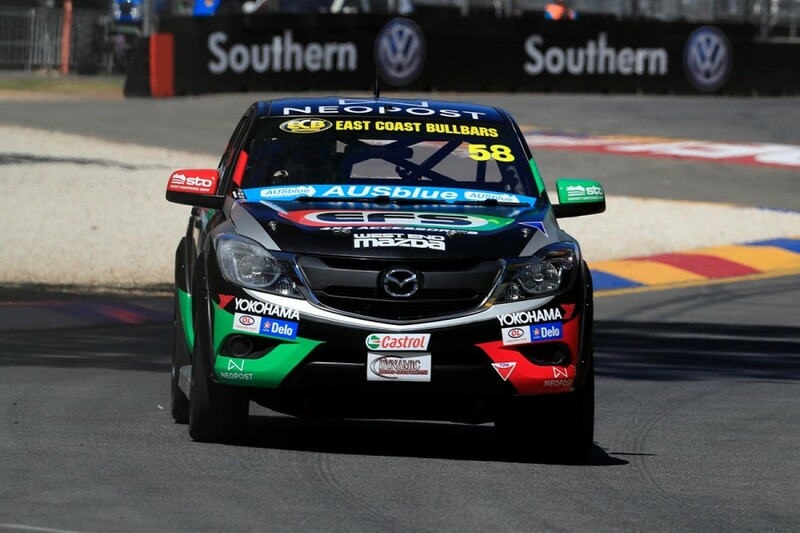 Mazda driver Ryal Harris has won the first-ever ECB SuperUtes Series race, at the Adelaide 500. The three-time V8 Utes champion continued his perfect run in the inaugural event, having topped practice and taken the ARMOR ALL Pole Award. Harris led from start-to-finish, maintaining a comfortable margin throughout the eight-lap race to win by 2.2703 seconds for Peters Motorsport. Craig Woods and Tom Alexander were second and third, Alexander having been Harris’ closest challenger until Woods snuck past at Turn 4 on the third lap. Dakar Rally winner Toby Price took fourth for Team Triton, emerging unscathed from a first-corner clash with the Toyota of Ben Walsh, who ultimately finished a lap down in seventh. “The temperatures were a lot hotter today but the Triton was still in a safe temperature range, and I was really stoked to finish fourth,” Price said. 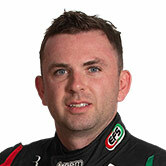 The Mazda team-mate of Harris, 17-year-old Aaron Cameron completed the top five. Cameron rolled during qualifying on Thursday afternoon, but his SuperUte was able to be repaired. Matthew Mackelden finished sixth in his Toyota Hilux, ahead of Walsh and 15-year-old Tomas Gasperak. Running for Supercars outfit Team 18, Gasparek’s Holden Colorado missed practice on Thursday morning after the truck bringing it to Adelaide broke down. Christopher Formosa was one of two retirements from the 10-car field. Formosa crashed his Ford Ranger at Turn 4 on lap six, while Craig Dontas in the sister Team Triton entry to Price’s suffered a jammed turbo. “I didn’t brake hard enough into Turn 4, which is why I spun into the wall,” Formosa said. The second race of the inaugural ECB SuperUtes Series round will be held at 9:15am on Saturday.